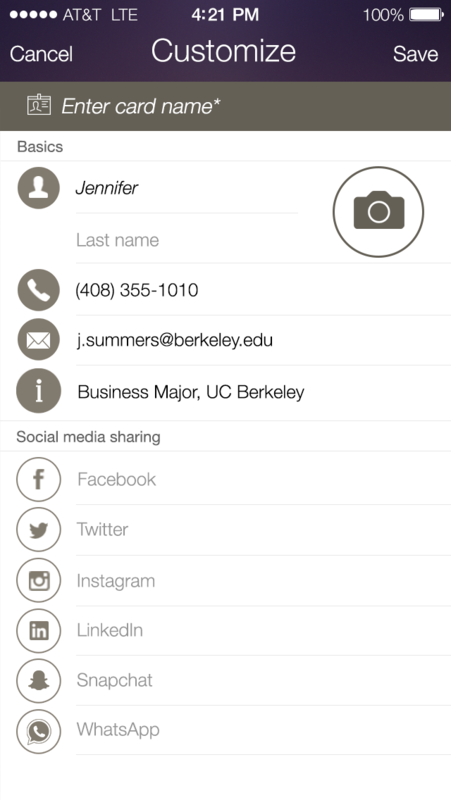 SAN JOSE, Calif. – April 14, 2015 – BridgeX today announced the official launch of its mobile app that eliminates the friction of sharing your contact info and connecting across multiple social media networks. Available as a free download for iPhone and Android smartphones, the app allows users to create and share custom contact cards hassle-free to any smartphone and lets recipients save the information directly to their address book. BridgeX is the only simple and natural smartphone solution that doesn’t require users to enable NFC or Bluetooth connections, or create a third-party account to facilitate the transfer of information. The app is cross-platform and shares the custom contact card of your choice with a simple push notification using nearby location services or an SMS with a link to a web app. Create custom contact cards for different encounters and relationships. Perfect for exchanges in business meetings, at conferences, social events event, nights out on the town, on college campuses, etc. Include standard contact info such as email, company, and address, as well as links to your various social media profiles. Any changes you make on your card are updated in real-time to all BridgeX contacts. BridgeX, Inc. is a mobile technology startup dedicated to helping people connect with ease. Their first product is a free mobile app that eliminates the friction of sharing contact info and finding new connections on multiple social media networks. Headquartered in the San Francisco Bay Area, BridgeX was founded by Bruce Youm, Stephen Gu, and Larry Guo in 2014. BridgeX has received private angel funding and is advised by Christopher Cheung, CMO and Co-Founder of Boxed Wholesale.